Let's face it, life is messy. 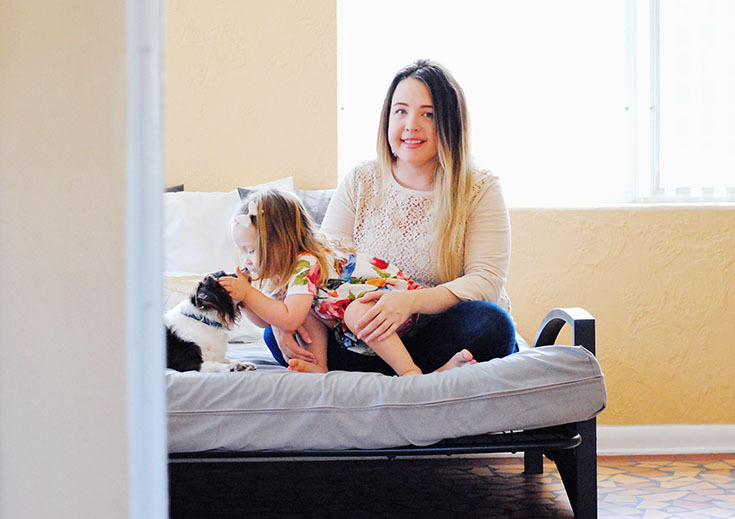 It's especially messy with a adventuresome toddler, a creative hubby, and a couple of wild pups running through your house. Between the canines tracking in mud from playing out in the Florida sun showers to the collections of leaves and dirt my two favorite people bring back from their adventures in the park - our house is constantly whirling with a little bit of a mess inside, that I'm always trying to tackle. 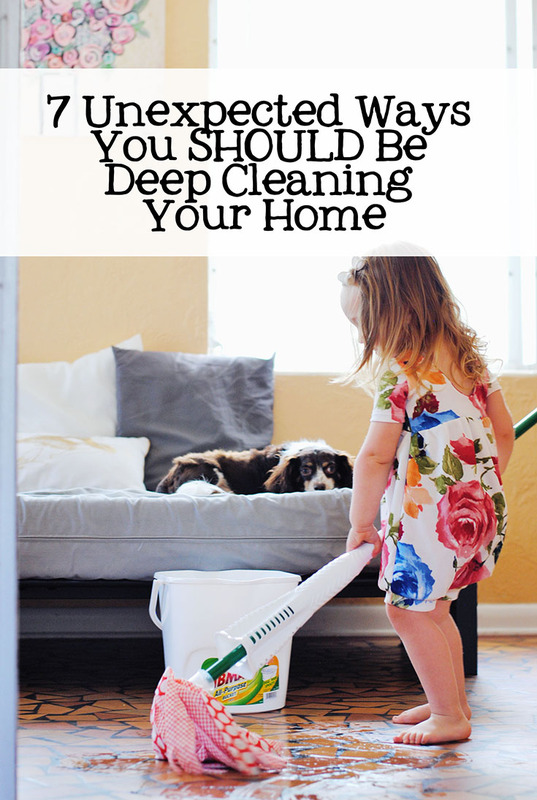 While we haven't necessarily mastered how to rid our house of every 'mess' made, we have learned to embrace the mess some... and recently, after realizing how grimey parts of my home were looking, I decided to really DEEP clean. From scrubbing our cabinets til they were sparkling to making sure our tile floor looked superb in our sunroom, I've actually mastered how to deep clean - easily. I'm not trying to brag or anything, but our house was getting to a state of emergency.. and something had to be done about it. So this year spring cleaning isn't just about Marie Kondo'ing our closets, it's about deep cleaning our digs and making sure we all can breathe a little easier. I mean, I'm not going over everything with a white glove, but I am making sure everything is clean and comfortable so we all feel more cozy in our little abode. 1. Wipe your blinds - This is something that I literally have neglected since we moved in a few years ago and while it isn't a "pressing" matter, it's something I realized had to be done. I use an old sock and a vinegar and water mixture in our Libman mop bucket to wipe these babies down. They air dry quickly and the grime and dust that I was able to remove was astonishing. 2. 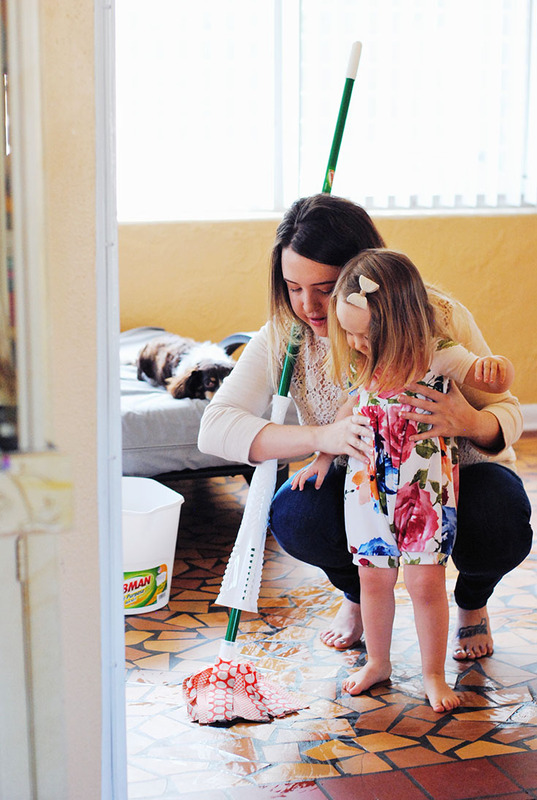 Deep clean your floors with a Libman Wonder Mop - So, this is embarassing to admit, but I have a feeling I'm not the only one; I've always thought sweeping and a quick mop was all my tile floors needed, but when I took a closer look at the tile in our sun room I realized my thoughts were incorrect and this just wasn't cutting it. So I grabbed an upgrade to the traditional "mop", a Libman Wonder Mop, plus a bucket and their powerful cleaner, while grocery shopping last week and decided to tackle our floors with what I thought was going to be a long, tedious process. 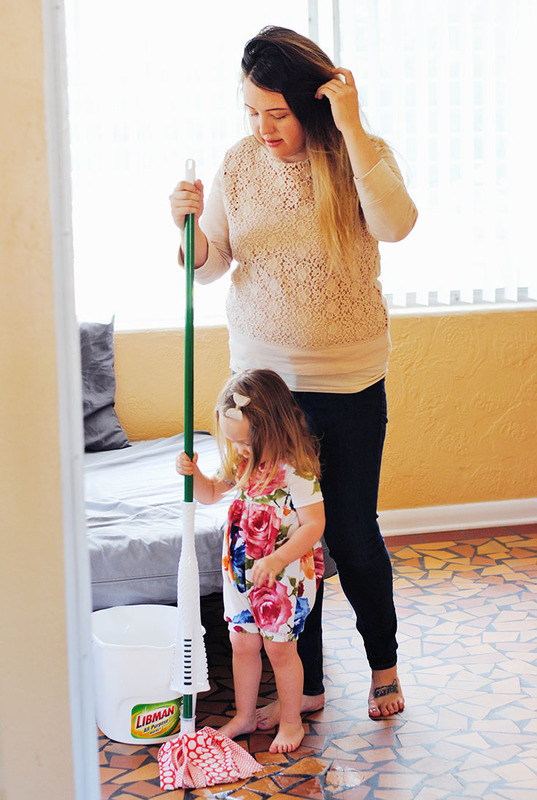 But mopping with our Wonder Mop was actually super easy and quick to dry and it left our floor looking luminous - a word I would never have used to describe our tile floors previously. With the power wringer to quickly remove water from the mop, my floor dried so much faster than if I used a "regular mop" and the microfiber Grip Strips helped clean the floor so much deeper than a little mop pad can. What to test out an upgrade on the "traditional"? 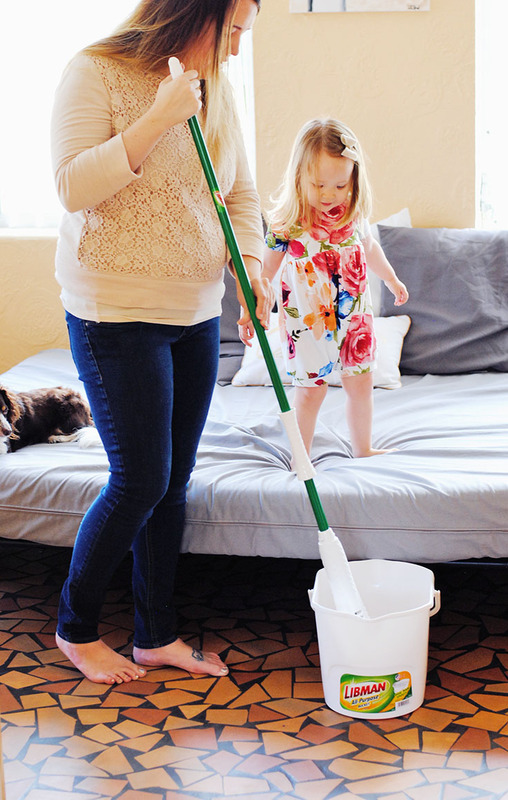 Find a Libman mop at your local retailer and check out their website to score $3 off your super awesome new mop! 3. Take your vent covers outside and hose them down- This may sound too easy, but it's a sure fire way to make sure your breathing in clean air. Just simply remove your vents from their proper places and spray them down outside, wipe each one down with a clean cloth and replace. This removes any built up dirt and makes sure dust isn't gathering on the vent, so it's a must-do each spring! 4. Scrub down your cabinets with a heavy-duty dish brush - While this isn't a must, it's something that is so rewarding if you have the time. Use a heavy-duty dish brush, you know the kind that you fill with soap within the brush, and SCRUB those cabinets. Wipe down with a wet wash cloth and your cabinets will literally sparkle. 5. 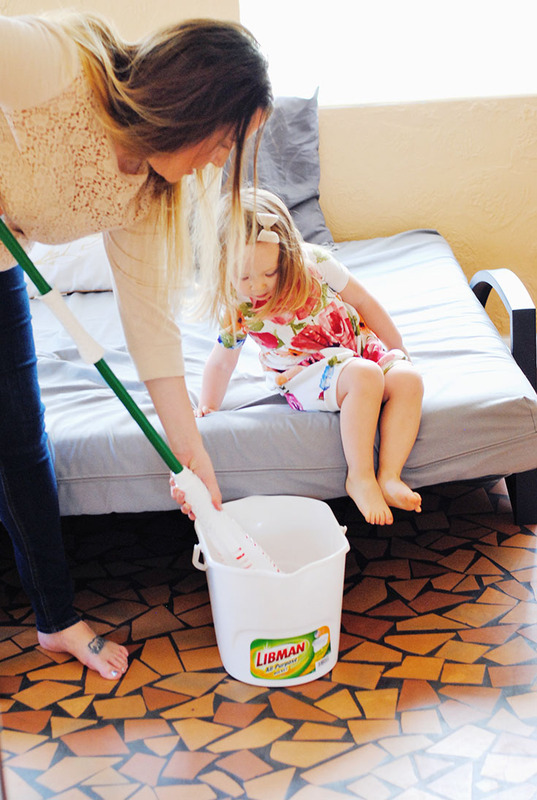 Use your Libman Wonder Mop to clean your baseboards - This may seem crazy, but it's so much easier than getting on your hands and knees to get that dust and dirt off the boards on your floor. I get my Wonder Mop slightly damp, with a little bit of cleaner in the water, then gently and carefully run it along each baseboard to clean off any sign of dust, it takes about 10 minutes to get every baseboard in my whole house and we all breathe a little easier with that hidden dust gone. 6. Change your air filter monthly - This is literally SO obvious, yet it's something that I think a lot of us forget to do. Change your air filter for your a/c monthly and we actually have a super old central a/c in our rental and have to add bleach into a part of it to make sure it runs as cleanly as it can. I don't suggest blindly pouring bleach, but if you have an older unit maybe ask a tech about doing this to ensure it's running as efficiently as possible. 7. 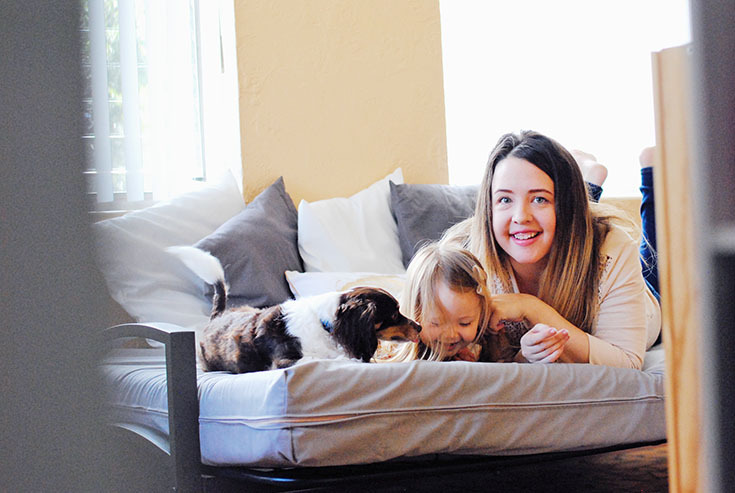 Clean your mattress - This may sound crazy but make a mixture of lavender essential oils and baking soda and use a strainer to sprinkle the concoction over the top of your mattress, let sit for about 15 minutes and then vacuum it all up and make your bed. This will help remove odors and leave your bed feeling heavenly. That's all the deep cleaning advice I have to share with you today, but I'd love to hear your tips and tricks to a tidy home - leave a comment & fill me in!